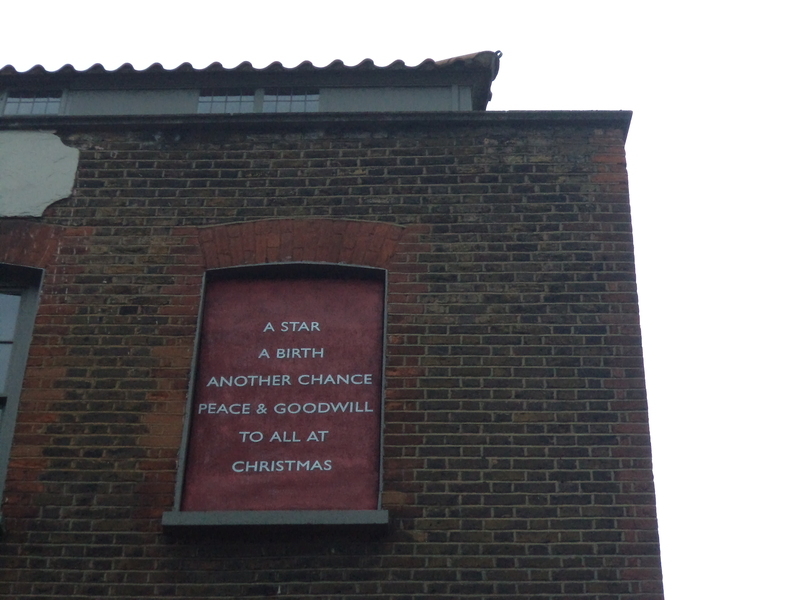 I found this little piece of Christmas cheer on the corner of Wilkes and Fournier Streets, in a lovely set of old backstreets in Spitalfields. This entry was posted in Uncategorized by thelondonphile. Bookmark the permalink.